Wireless charging firm Powermat has joined the Wireless Power Consortium (WPC), a group that promotes the adoption of the popular Qi charging specification. The move signals a further consolidation of the wireless charging industry, which has seen three previously competitive industry groups share various specifications and join forces to promote them. The move was not completely unexpected as Powermat also formally announced the release of its Charging Spot 4.0 with SmartInductive technology platform, which supports two of the major charging formats. The new wireless charging product is capable of 15-watt power transfers through a 1.5-in. thick solid surface and provides support for new Apple iPhones and other Qi-enabled devices. 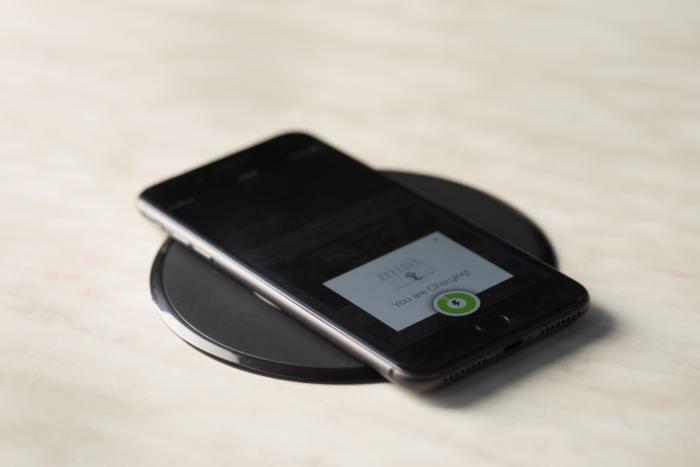 A smartphone sits atop a wireless charger enabled by Powermat's new Charging Spot 4.0 technology. Powermat is already part of the Airfuel Alliance consortium, which was founded when two of the three major wireless charging standard bodies – the Power Matters Alliance (PMA) and the Alliance for Wireless Power (A4WP) – merged in 2015. The Airfuel Alliance created the AirFuel standards for magnetic resonant and RF wireless charging for devices from smartphones and laptops to wearables. Airfuel, which licenses its technology to wireless charging and mobile device manufacturers, competes against the WPC and its Qi specification. Charging Spot 4.0 will not only support two charging specifications but will enable chargers to be mounted under tables and desktops, enabling mobile devices to charge without having to be placed on a pad. "With this charging technology there are no more wires on top of the desk or table," Powermat CTO Itay Sherman said in an interview with Computerworld in December. 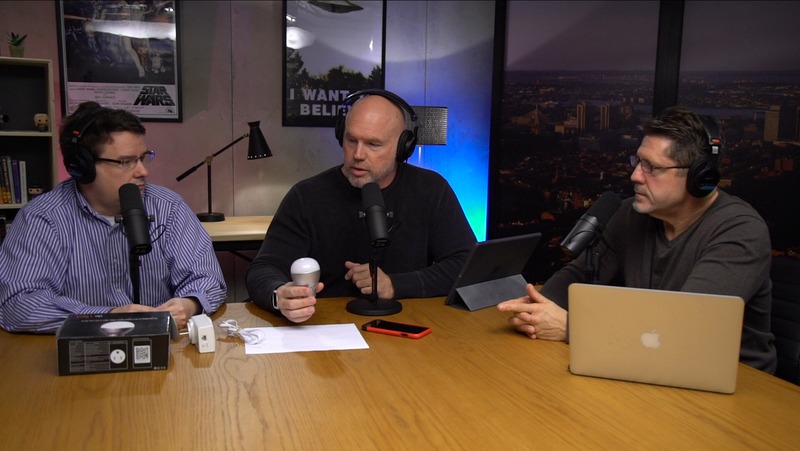 "In the past, there has been a reluctance on the part of enterprise customers to use wireless charging because of all the wires on the top side of a desk, but with this technology they no longer need to do that." Powermat's inductive wireless charging is widely used and has been adopted by Duracell, General Motors, Starbucks and AT&T. Among airports, coffee shops, malls, restaurants and arenas, Powermat claims to have 12,000 charging spots in the U.S. and Europe, and is being embedded in millions of cars and smartphones. In September, Powermat pushed a software upgrade that enabled its current charging spots to be compatible with Qi and Airfuel charging specifications and allowed for compatibility with the new iPhones. That upgrade, however, only offered 5W power transfers. Powermat's new Charging Spot technology will support 7.5W "fast charging" for the new iPhone line as well as most Android smartphones. It currently supports up to 15 watts of charging but is extendable to 40 watts of power. A tabletop Powermat wireless charging spot. The new hardware and software will open the door for future software improvements, including power transfer rates of up to 65 watts; that would cover everything from tablets to laptops, Sherman said. While the technology is inductive as opposed to resonant, which allows for greater distances between a charger and an enabled device, Powermat added a larger charging coil and a booster to its newest chargers. That allows for power transfers of up to 1.5 inches in distance. 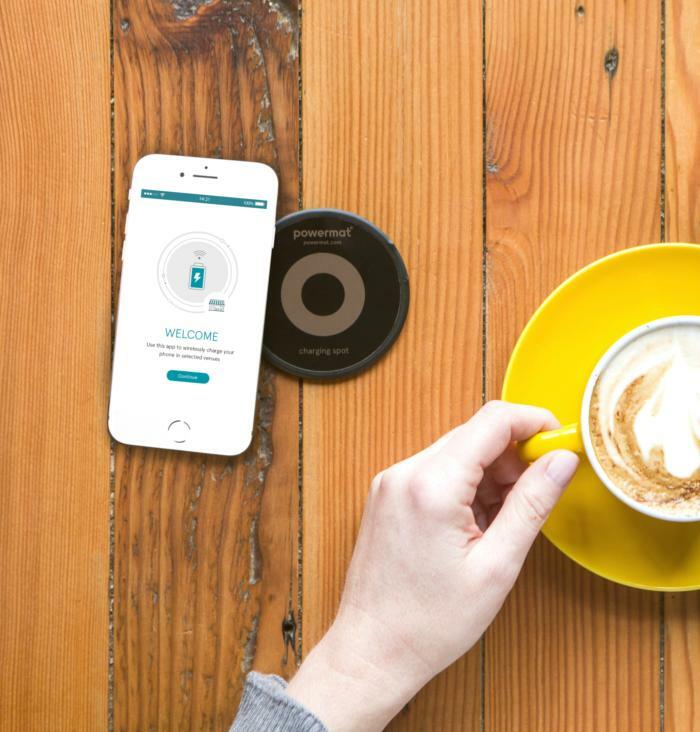 "By enabling greater device compatibility, a simplified charging process and easy installation, we're making wireless charging technology more accessible for both businesses and consumers," Powermat CEO Elad Dubzinski said in a statement. The WPC has 360 member companies supporting the Qi standard, including Apple, Samsung, LG Electronics and Delphi. "We are looking forward to Powermat joining WPC and contributing to ongoing advancement of the technology and experience," said WPC Chairman Menno Treffers. "By joining WPC, it further unifies the wireless charging ecosystem behind the Qi global standard. WPC will leverage Powermat's expertise in technology innovation to support more use cases including higher power and expanded special freedom."